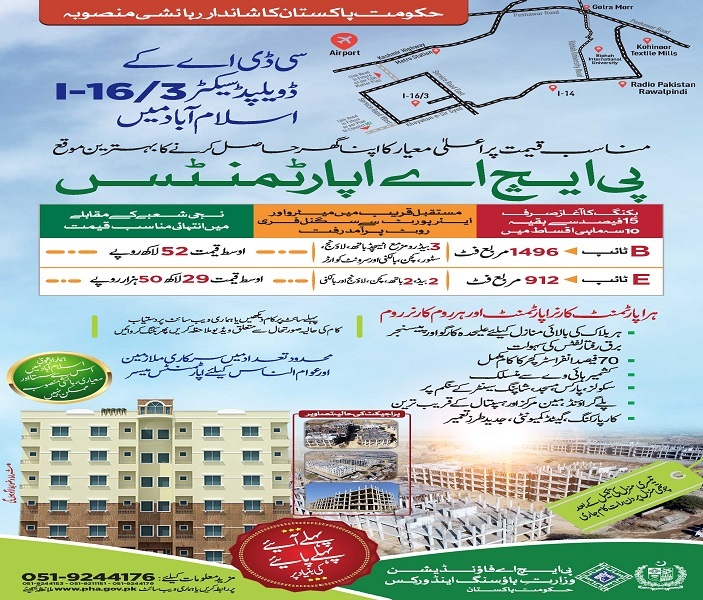 Earlier PHA had launched apartments in sector I-16/3 Islamabad, where G+6 storey spacious apartments were launched at very reasonable prices. 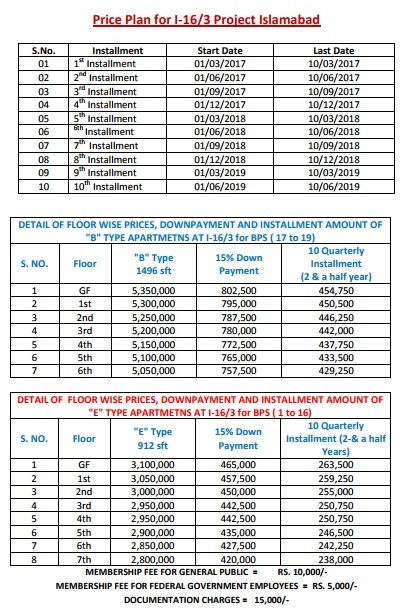 This time again the PHA has launched booking of E and B type apartments on installments. Booking is available on first come first served basis. Construction work on these apartments is underway and structure work is already at an advanced stage. We are sharing the booking details, prices and payment plan, as well as a recent video of development work. You can download the registration and application forms below and submit along with membership fee, documentation charges and down payment for booking of your apartment. More instructions are given on the forms, so go through the instructions carefully before filling up your forms. We are sharing a recent video that covers the current status of construction of these PHA apartments. PHA claims to have completed about 70% structure work already, and it offers 2.5 years payment plans which is also a set target for completion and handover of these apartments.